Minh Nguyen is accused of shooting and killing his ex-wife's new husband Thursday night. 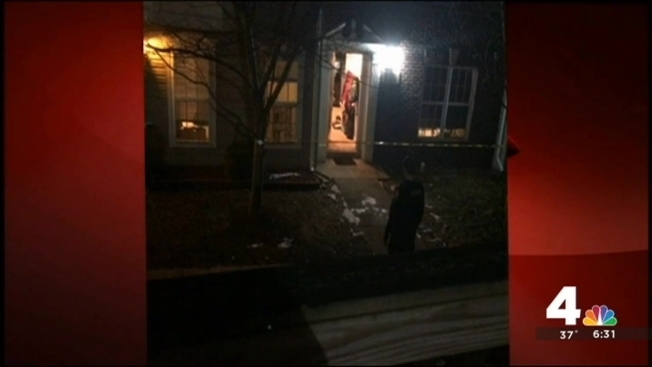 Loudoun County Sheriff's Office investigators say it began around 9:30 p.m. in the 44200 block of Sonora Lane when Nguyen, 38, broke into his ex-wife's home and started shooting. Deputies say his target was Corey Mattison, who had just married Nguyen's ex-wife three months ago. "All of a sudden I heard pow, pow, pow, pow, either five or six shots," a neighbor said. "I looked out the window and saw a girl screaming, 'Call 911, call 911!'" Two children were at the Sonora Lane home at the time of the shooting. As the incident was unfolding, police say Nguyen's ex-wife came home with a third child. "As far as we know, the ex-wife was on her way home from an event with one of her children and as she was coming home, her ex-husband was targeting [Mattison] and that's when the violence erupted," a Loudoun County deputy said. Neighbors said the shooting comes after months of strife between Nguyen and his ex-wife, over child custody and visitation issues. Nguyen is charged with first-degree murder and use of a firearm during the commission of a felony. He is being held without bond at the Loudoun County Adult Detention Center.